When you think of differentiating, you probably think of doing so through what you sell. How about differentiating through how you sell? 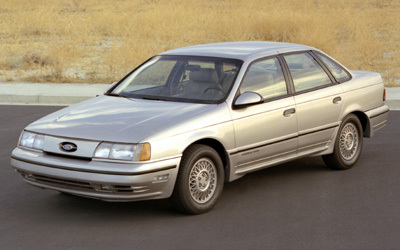 For example, I was an early adopter of the new Ford Taurus when it was introduced in the 1980s. Don’t give me too much style credit, however. It was a company car. Differentiating was about the product. The Taurus and its Mercury Sable companion got lots of attention for their sleek, rounded designs. So much for that today. I can’t tell a BMW from a Hyundai from an Accord from a Malibu. Instead of using product to differentiate think about differentiating through how you sell. I’ll highlight three companies that are doing this. Best Buy is the number one electronics retailer. Best Buy sellers, easy to spot in their blue shirts, are taught and told to do whatever it takes to help the customer find what he needs. If a store doesn’t carry an item the blue shirts go to the web to find it, wherever they can. In a recent story a Best Buy senior executive went into a store undercover searching for a tripod for an iPhone. The store didn’t have one so the blue shirt found one on ebay for $14. The company didn’t make a dime. Where is this selling direction coming from? Robert Stephens, founder of Best Buy’s Geek Squad repair team and now the company’s Chief Technology Officer says his vision for salespeople is to be ‘human search engines’. He said he wants to see a difference in the interaction customers have with Best Buy. Brian Dunn, the company’s CEO, says it’s part of a ‘connected world strategy’. I admire Best Buy for the effort because it shows they’re not satisfied with their success. Walmart is always lurking and other avenues for buying electronics are everywhere. The second example of differentiating through how you do business is with a furniture company I recently came across. When I think of where to shop for furniture (after conceding defeat with my wife) I think of going where the selection is good and the price points are reasonable. Columbus, Ohio retailer Comfy Couch is taking a very different approach. Founder and CEO David Thompson said his company is founded on the principle of bringing ‘Lean’ manufacturing principles to the retail customer experience. Let me repeat – founded on Lean. Through Lean, Thompson says Comfy Couch brings the highest quality at the best possible price in the quickest amount of time. The point is he wants you to know this. It is clearly different from what I hear from other furniture retailers. Whether the strategy will payoff or not will be seen but again the creativity and commitment is impressive. The last example is with one of my clients. It is a global semiconductor company called Microchip Technology. Microchip makes and sells MCUs, those little things found in every electronic device on earth. Your phone, your washing machine, your coffee maker, your car, your electronic toothbrush, all have MCUs. Microchip is proud of its products and they’ll be the first to tell you that it’s becoming phenomenally difficult to differentiate them. Through the vision and leadership of their global VP of Sales Microchip is differentiating through the way it sells. For one, they invest a ton in what they call the sales operating system. This is the framework or vision of how Microchip sells. It is comprised of several different selling components that all complement each other. Second, Mitch instills in his global team a sense of identity and purpose that is about the customer. He’s constantly talking about the customer. All the sales training and coaching and reinforcement is about the customer. Third, they’ve recently solidified what their mission is for customers – it’s giving customers the freedom to innovate. This shifts the context of all sales discussions from product to capabilities. Can you imagine how your sales calls would be different if you were conditioned to believe that your mission is to give a customer the freedom to innovate? “Let’s talk about how we can help you get there” is the constant theme. It is shifting the context from price to partnering especially for large, key customers that do a lot of repeat business. These sales calls are about being relevant – wow! It’s what Best Buy is doing to stay on top and what Comfy Couch is doing to break through the noise of same-ness. Being different perhaps has never been more important.